The last thing you want after your senior returns home from the hospital is for her to have to go right back in. So it’s vital that you know what to watch out for and what to do in case she’s not recovering as well as you’d both like. Before your elderly family member leaves the hospital, her doctor will give her some paperwork related to her release. This paperwork usually lists out aftercare instructions and any tips that might help you to know that she’s in danger of relapsing. The paperwork will also let you know if you need any special equipment for your senior. If any of the paperwork doesn’t make sense, make sure that you ask questions to get as much information as possible. Once your aging family member is safely home, you’ll need to pay close attention to her symptoms. She may experience some pain, especially after surgery, but there are limits. If she’s experiencing a fever along with pain or excessive pain, this can be a bad sign. Other symptoms to watch for might be shortness of breath, trouble sleeping, or redness at an incision site. You might think your senior is just being melodramatic when she tells you that she’s not feeling right, but it’s possible that she’s giving you important information. It’s always better to be safe than sorry and no one knows her body better than your senior does. So if she’s insistent that something isn’t right, it might not be. Does She Seem to Feel Worse Instead of Better? If your elderly family member seems as if she’s feeling worse rather than better, especially after a day or two of being home, there might be more going on. It’s important to at least call her doctor and see if there’s anything more specific you should watch for. It might be nothing, but this can also be a subtle sign that there’s something else going on. Hiring home care providers can help you to stay on top of all of these details. It’s not uncommon at all for caregivers to worry that they’re overreacting, but home care providers have experience with helping aging adults return home from the hospital. They can let you know if they see anything that is concerning. Jack Coito is the Owner at Home Care Resources. Home Care Resources is a locally owned and operated agency established in 1999 to provide; "Quality Care Wherever You Call Home" to seniors throughout Maricopa County. We are available 24 hours a day, 365 days a year to assist you in the comfort of your home. We understand the desire to remain in the privacy and safety of your own environment; Home Care Resources is committed to the highest standards of service. Our objective is to improve the quality of life for both our clients and our client's family. Whether it is recovery from a short term illness, surgery, a long term disability or the natural challenges that accompany growing older, you can rely on our professional staff. Whatever your needs may be, our caregivers are there to provide comfort, support, security, dignity and the upmost in personal care. 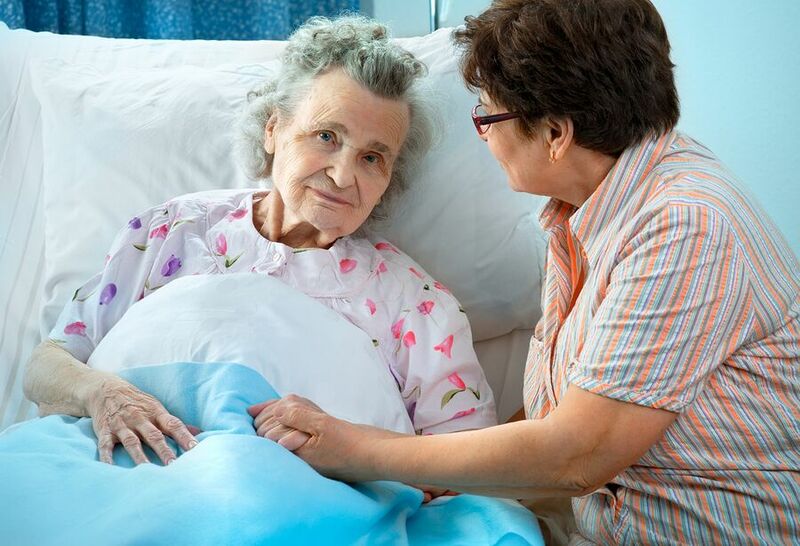 We offer: Long-Term or Short-Term care, Live-in and/or Hourly services including Hospice Support and Respite Care. Please feel free to contact us at 602-443-4700 for further information and or questions you may have; our office is open 24/7, 365 days a year.